A new policy went into effect Thursday that bans U.S. soldiers in Alaska from attending any cannabis-related events, gatherings, festivals or fairs. A new policy went into effect Thursday that bans U.S. soldiers in Alaska from attending any cannabis-related events, gatherings, festivals or fairs. These new restrictions were put in places as Alaska is expected to become one of the newest cannabis legalization hotspots in America. Not only were soldiers told they’re not allowed to attend, just like breaking any other official rule, they face repercussions if they do. Army officials in Alaska have banned soldiers from attending any cannabis events held within the state. The decision came from Maj. Gen. Bryan Owens, the man in charge of commanding Alaska’s active-duty soldiers. Attendance at such events is inconsistent with military service and has the potential to adversely impact the health, welfare and good order and discipline for soldiers stationed here. The “impact on health,” might be different from what we’re thinking. The statement is most likely referring to a situation where soldiers could be called into duty. If they had just attended an event they could have a clouded mind or slow reaction times. What is certain is any officers caught attending cannabis events will run the risk of facing disciplinary actions. What those exact punishments are remains unclear. However, when it comes to the Army, any disciplinary action usually results in being viewed as disrespectful. Despite our personal beliefs about cannabis, it’s understandable why military officials do not want active-duty members to partake in such activities. With the chance of being called into action a moment’s notice, it’s important for soldiers to remain vigilant and alert. One mistake in the line of action could have fatal consequences. Officials ensure they are not trying to encroach on the rights of soldiers, but rather protect the entire organization should they be called upon for duty. With the lives of so many at stake, it’s an understandable request most U.S. Army Alaska members are happy to follow. We’re trying to make sure that we do everything that we can to keep the soldiers informed of what would get them in trouble. 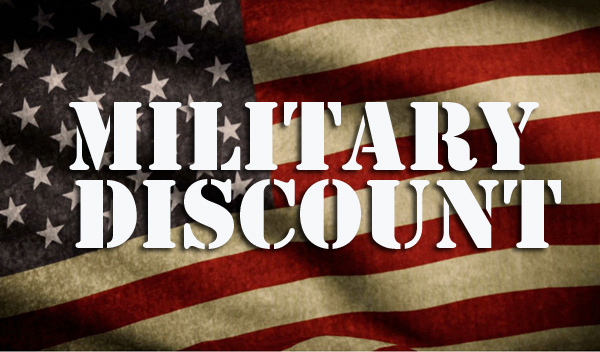 So many soldiers are attracted to the cannabis events because of the military discounts many dispensaries and businesses offer to soldiers. While Pennell appreciates the support from local businesses, it goes against the rules for soldiers to partake in such activities. It’s well-meaning people who are trying to reach out because they support the soldiers and their families. Large-scale cannabis events do not yet exist in Alaska, but with the first cannabis retail store expected to open in September, military officials believe the events won’t be far behind. Banning active-duty soldiers from attending these events now is the Army’s way of staying ahead of what they perceive could be a growing problem. Do you think active duty U.S. Army Alaska soldiers should be allowed to attend cannabis-related events? Share with us on Facebook, Twitter or in the comment section below.